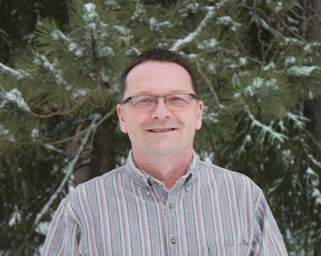 As Property Manager at Camp Manito-wish, Tim leads the property team in caring for and improving camp’s properties, facilities, and grounds, ensuring a safe, functional and sustainable experience to all who come to Manito-wish. Tim began with Camp Manito-wish in the late 1980s holding positions from “Boatman” to Assistant Property Manager until 2001. After leaving Manito-wish, Tim embarked on a career path as a Paramedic, which evolved into a full time faculty position at Northeast Wisconsin Technical College. Tim currently remains an adjunct faculty member there. Tim holds a Bachelor of Science in Outdoor Education/Earth Science from Northland College. He teaches for Wilderness Medical Associates and continues to practice as a part time Critical Care Paramedic. Tim also volunteers for the American Camping Association as an Accreditation Standards Lead Visitor. In his spare time, Tim and his wife Pat spend time enjoying Tim’s gourmet cooking, gardening and being active in a variety of silent sports in earth’s great outdoors.